My daughter was home for a couple weeks which meant I had some things in my fridge after she left that I don't normally eat: mainly assorted berries and milk. She always takes home the leftover coconut bread (her favorite, toasted) and any remaining coffee beans (I don't drink coffee), so that leaves berries and milk in my fridge. I'm a citrus person in the morning and I never drink milk unless there are pb cookies in the house, which is like never. Unfortunately. Staring in the fridge at the leftover berries and milk, I remembered this recipe as it's an unusual clafoutis recipe: rather than using only cherries (the traditional way with a clafoutis), you can use berries of your choice to mix it up. Perfect for my leftovers. I even had a few black cherries in the fridge so used those, which kind of makes this a legitimate clafoutis. 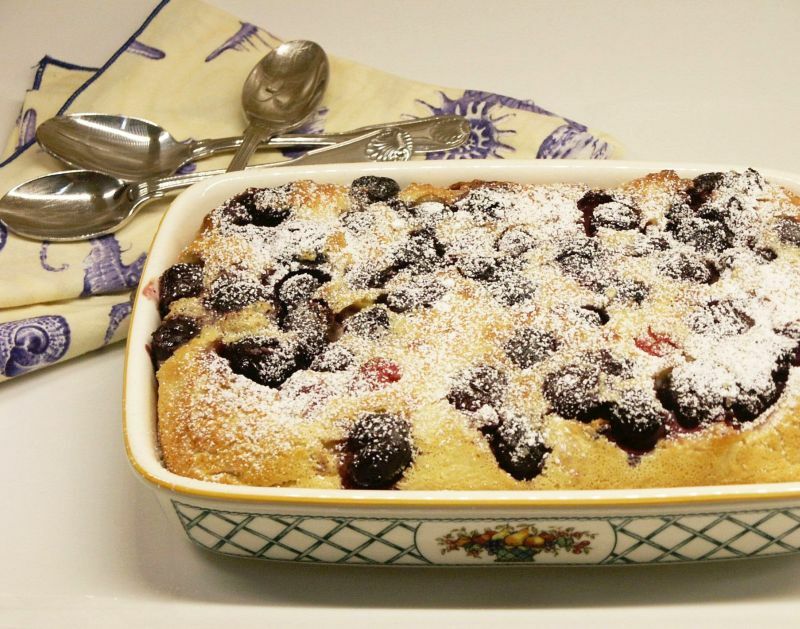 Really, is there anything simpler than a clafoutis recipe? Rather like a popover batter. So light and airy. And in this one, the berries all pop to the surface. Oh yeah. Place eight-1 cup capacity strong heat proof dishes onto a baking sheet and into the oven to preheat. Remove eight tablespoons of the superfine sugar from the 1 cup of sugar and set aside. Whisk together the milk, the remaining sugar, vanilla, eggs, salt and flour. Remove the heated dishes from the oven and divide the cherries and berries evenly between them. Sprinkle with the rest of the sugar, one tablespoon per dish. Then ladle the batter over the berries evenly. Place back in the oven (still on the baking sheet) for 25 to 35 minutes, or until the center is no longer runny and dishes are puffed up and golden brown. Watch carefully as I baked two sizes and one was ready sooner. Plus, the larger casserole took longer than 35 minutes. This 60's recipe belonged to an old friend from those days, Sandy Albers. And it's also another of those "almost too simple to post" recipes....the kind we like to see in the summer, right? Even though it's nearly over....good news for South Florida, bad news for most everyone else. Such a simple recipe. Whole strawberries are scattered points up over the graham cracker crust with mashed and cooked strawberries poured over them. 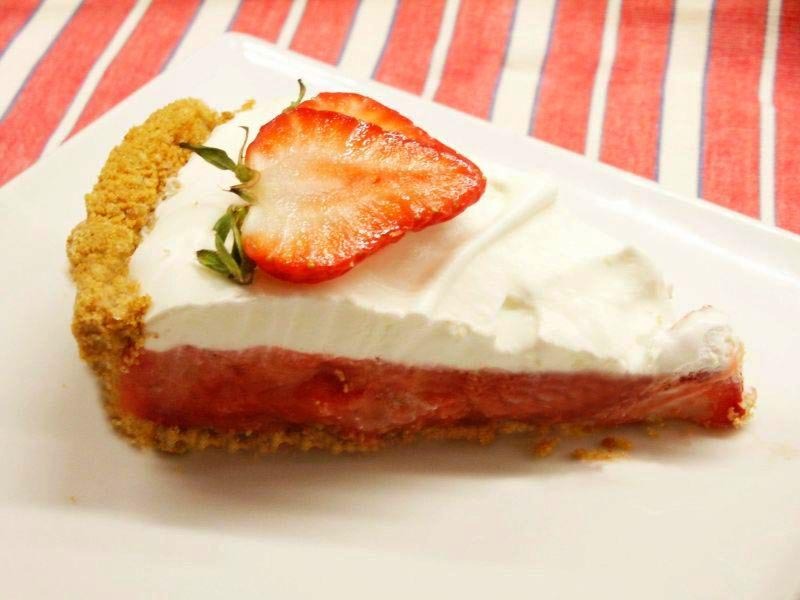 Those whole strawberries actually make this pie less sweet than you'd expect, but still plenty sweet enough. It's not a terribly firm pie, most strawberry pies aren't, but it spells summer so beautifully, I thought I'd share the recipe. Messy to cut....you need a good sharp knife. Who knows? Perhaps Sandy or someone who knows her will see this and I'll hear from her. Place whole strawberries, points up, all over the crust. Mash remaining strawberries, add sugar to taste, add flour, dash of salt and the lemon juice. Mix well and cook until slightly thickened. Cool. Pour over strawberries. Refrigerate until firm and cold. Top with whipped cream and refrigerate again. I hope you never tire of my posting gems from The Breakfast Book. I sure love making them! Honestly, they are spot on every time, never a miss. Here we have a biscuit made with barley flour, which has a rich nutty taste and is a powerhouse of nutrition. 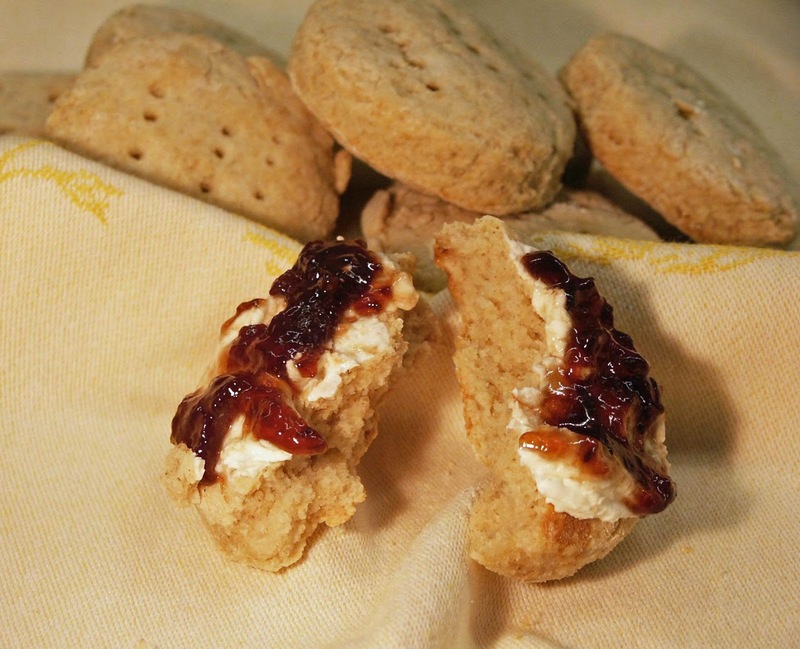 Serve these biscuits warm with some cream cheese and your favorite homemade jam. For breakfast, for a snack, for tea....any time. You can freeze them too. They're flatter than most biscuits (you don't need to slice them open, just slather cream cheese and jam on top), but are amazingly flavorful and so good for you. No wonder all of Marion Cunningham's recipes are treasures! Mix the flours, sugar, baking powder, baking soda and salt in a mixing bowl. Stir in the buttermilk and beat until smooth. Then add the melted butter. Blend well. Dust a board with flour and roll out the dough to about 1/4 inch thick. Cut with a 2 or 2 1/2 inch cookie cutter and place on the parchment paper. They don't rise much, so you can place them close together. 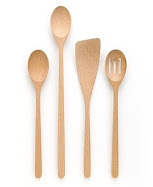 Prick each with a fork three times. Bake 10 to 15 minutes or until lightly golden. Serve warm with cream cheese and your favorite jam. I'm probably the last food blogger to post about this torte, but here it is anyway. I didn't use the suggested buttery oval purple Italian plums (available in early fall) because I didn't want to wait. My market only had a choice between some huge purple plums and the somewhat smaller pluots....which look and taste like a plum, but with apricot overtones. So I brought those home. Originally I had read something about this torte on Smitten Kitchen, the recipe being the most often published and the most requested in the Times archives. Marian Burros (who was given the recipe by Lois Levine, with whom Burros wrote Elegant but Easy) ran the recipe in the paper twelve times. When Amanda Hesser asked for recipe suggestions for The Essential New York Times Cookbook, almost 250 requests were made to include this torte. After reading all the kudos, it's no wonder I didn't want to wait around until fall, although now that I have tasted this divine torte, I'm definitely going to make it again with the oval purple plums this fall. Not that this wasn't perfection, it was. Will it be even more ambrosial with the fall plums? 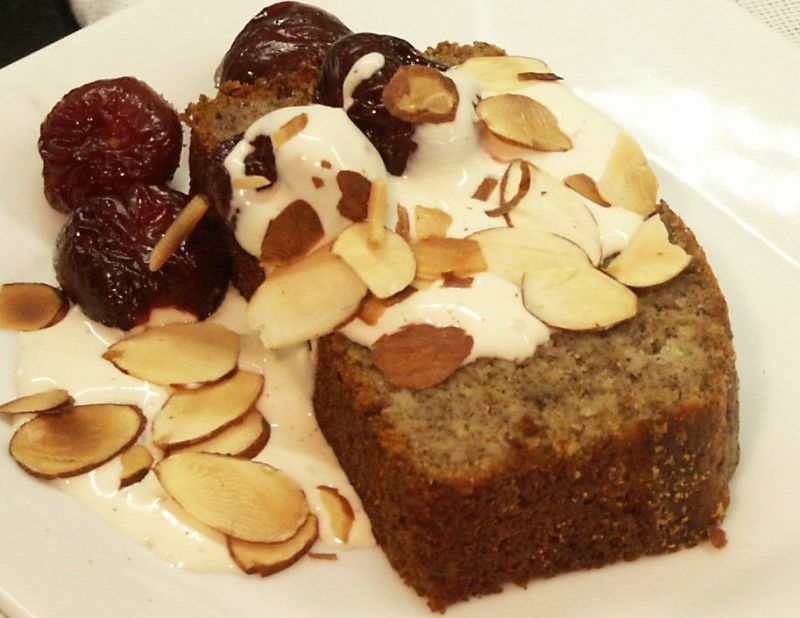 Deb mentioned it tastes even better the next day as those plums and the cake sort of meld together. It does. And what a surprise to read it freezes beautifully. Hesser said the batter resembled pancake batter, but I thought it was a bit thicker than that. You spread it in the pan rather than pour it. Take a look at those directions! Hardly any. Easy, peasy. And you'll have all the ingredients except the plums in your pantry right now. Such a simple recipe resulting in so much deliciousness! Sift the flour with the baking powder and salt, set aside. In your mixer, cream 1 cup sugar and the butter until light in color. Add the dry ingredients and then the eggs. Spoon the batter into an ungreased 9-inch springform pan. Cover the top of the batter with the plum halves, skin side up. 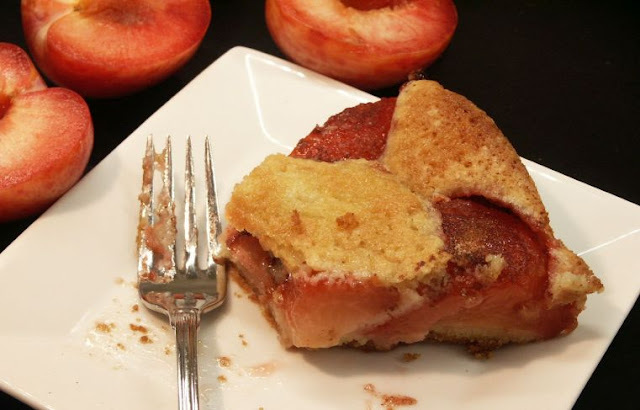 Mix the remaining sugar with the cinnamon; Sprinkle the plums with the lemon juice, using enough to adjust to the tartness of the fruit and then sprinkle the cinnamon sugar mixture over everything. 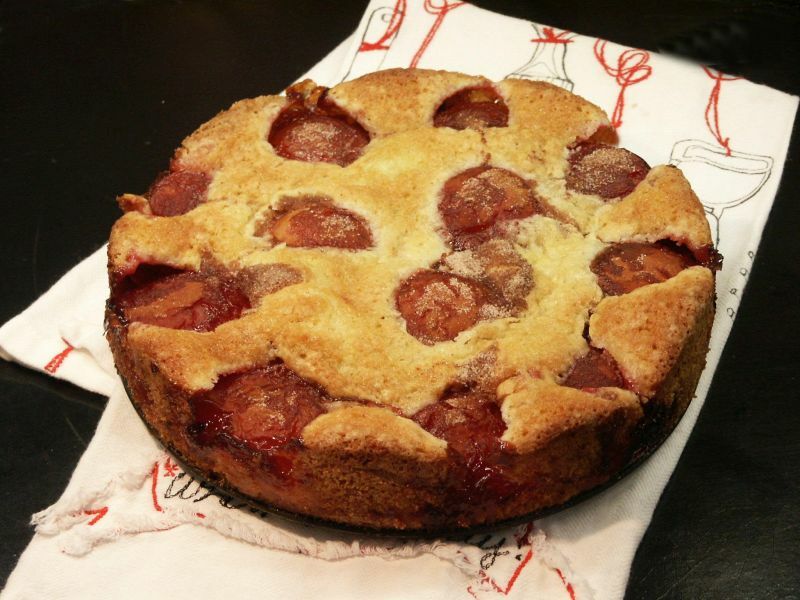 Bake the plum torte until the cake is golden and the plums are bubbly, 45 to 50 minutes. Cool on a rack, then unmold. Bananas are not something I buy frequently, which pretty much means I rarely make banana bread, but when I do, I use an old recipe from the Palo Alto Junior League cookbook called Private Collection (real gems....there are two). For some odd reason I've never posted the recipe, but Lori from Recipe Girl did, if you want to try it. 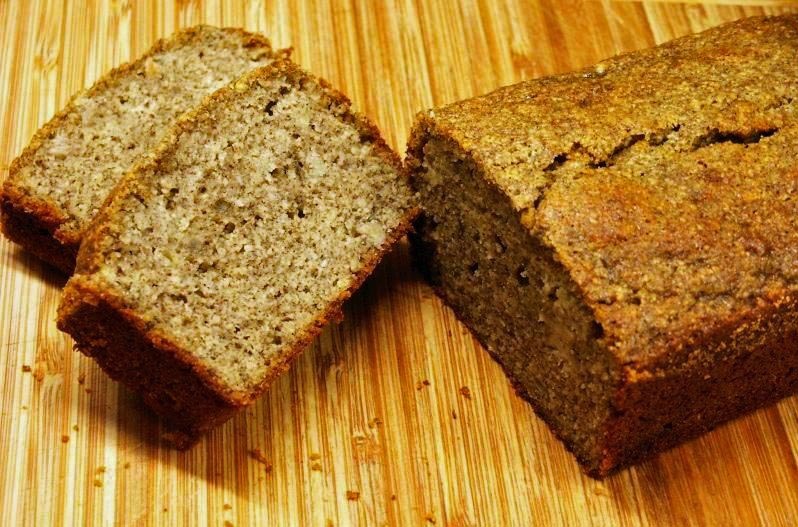 It's my go-to recipe if I'm going to make banana bread. Or was. Recently, I ran across this Buckwheat Banana Bread recipe and because I love buckwheat flour and had some rare over ripe bananas on the counter, I tried it. We're not a gluten-free house but this recipe is indeed gluten free. And honestly, totally awesome with the buckwheat flour and coconut palm sugar. This particular recipe is gussied up for company with some poached cherries and a mascarpone topping, but you don't need to do that if you'd rather not....it's fabulous all on its own. The original recipe used poached quinces if you'd prefer (I didn't have any, but had cherries in the fridge so poached those per a recipe from :pastry studio) and pistachios (I used almonds) as a garnish. Use whatever you have handy. In addition, I used vanilla bean paste (which is also gluten-free) instead of powdered vanilla. Preheat your oven to 340 degrees. Line your loaf pan with parchment paper. Combine mashed bananas, eggs, honey, coconut sugar, vanilla, cinnamon, allspice and coconut oil. Fold the baking powder, almond meal, buckwheat flour and sea salt into the mixture. Pour the batter into your loaf tin and place into the oven for 50 minutes or until a skewer comes out clean. Cool in the pan on a rack briefly, then remove from the pan and cool completely. Slice the bread, top with cherries and mascarpone sauce and serve.